Do You Have Bedbugs in Longmont, CO 80501? Call 303-530-0646. For more articles like this go to Cleancare Articles. 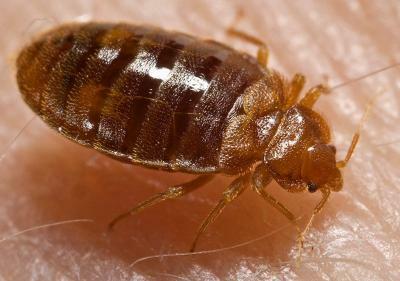 Bedbugs are small, oval, brownish insects that live on the blood of animals or humans. Adult bedbugs have flat bodies about the size of an apple seed. After feeding, however, their bodies swell and are a reddish color. Bedbugs do not fly, but they can move quickly over floors, walls, and ceilings. Female bedbugs may lay hundreds of eggs, each of which is about the size of a speck of dust, over a lifetime. Immature bedbugs, called nymphs, shed their skins five times before reaching maturity and require a meal of blood before each shedding. Under favorable conditions the bugs can develop fully in as little as a month and produce three or more generations per year. Although they are a nuisance, they do not transmit diseases. Bedbugs are active mainly at night and usually bite people while they are sleeping. They feed by piercing the skin and withdrawing blood through an elongated beak. The bugs feed from three to 10 minutes to become engorged and then crawl away unnoticed. Most bedbug bites are painless at first, but later turn into itchy welts (see above immage). Unlike flea bites that are mainly around the ankles, bedbug bites are on any area of skin exposed while sleeping. Also, the bites do not have a red spot in the center like flea bites do. People who don't realize they have a bedbug infestation may attribute the itching and welts to other causes, such as mosquitoes. To confirm bedbug bites, you must find and identify the bugs themselves. Look for a continuing article on how to get rid of bedbugs and see our videos. After bed bugs have been exterminated, you'll want a complete santiziingng steam cleaning of your mattress, furniture and carpets. Give us a call for the most thorough cleaning ever at 303-530-0646.